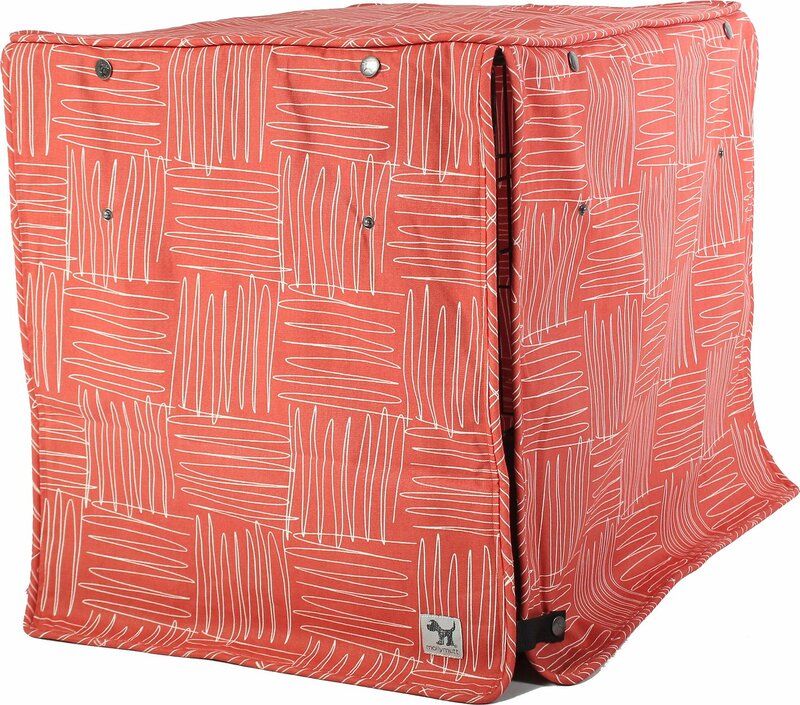 Function meets fashion in the Molly Mutt Jitterbug Dog Crate Cover. Designed to give stark metal crates a stylish makeover, this cover easily fits on top of the crate to transform it into an eye-catching accessory. And with door panels that snap closed on all sides, you can give your dog an inviting sleeping space by night, or roll up the front and side panel to give him a room with a view by day. Plus, it’s made from 100-percent cotton canvas that is both durable and washable, so you can enjoy it for years to come. 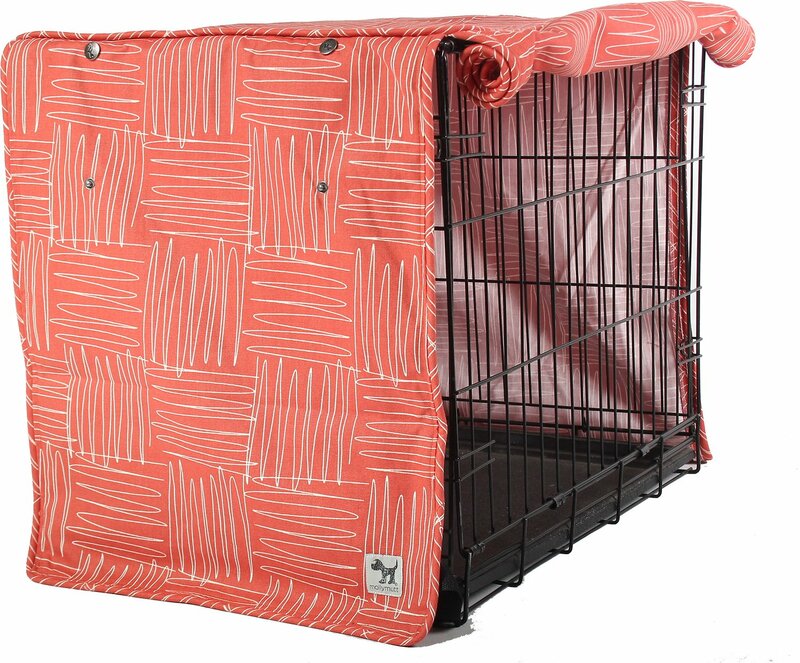 Fabric dog crate cover transforms cold metal crates into fashionable room accessories. 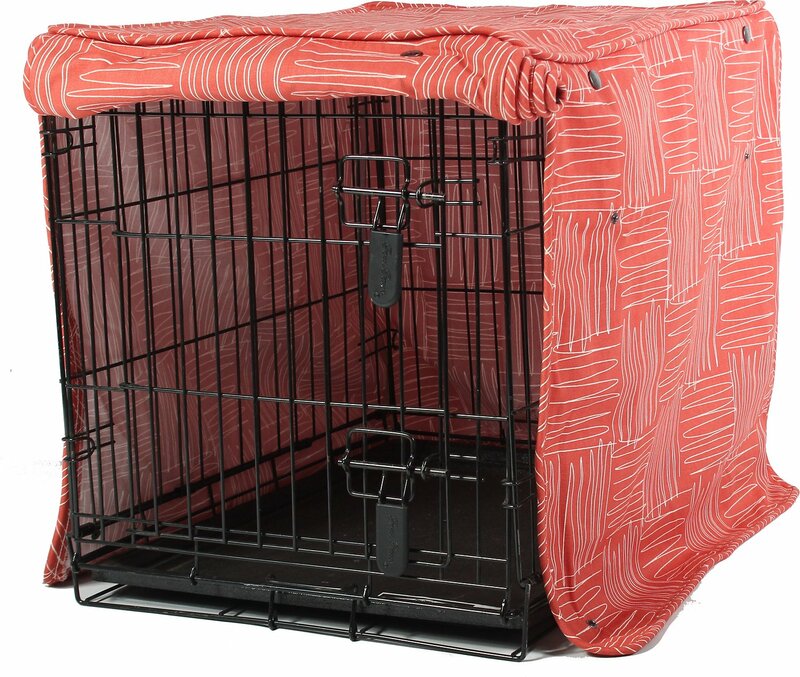 All-over panels provide full coverage for privacy at bedtime or to hide the crate when not in use. Door panels roll down on two sides for full closure, or snaps keep them open for easy access. Made from 100% cotton canvas that is durable, washable and pre-shrunk. Wash cold and line dry for best performance. Choose from a variety of adorable patterns that coordinate with all Molly Mutt products. Small 24" x 18" x 21"
Medium 30" x 21" x 24"
Big 36" x 24" x 27"
Huge 42" x 28" x 31"
Fits wire kennel perfectly and looks beautiful! High quality craftsmanship too. I love this crate cover and so does my pup! It's a beautiful color and nice design. 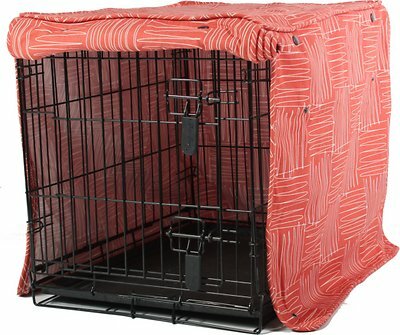 It's very well made and nice material that can't be pulled into the kennel since it's too thick. I like the versatility of it too. 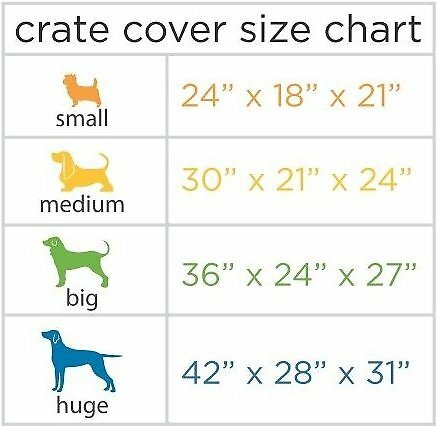 I bought this crate cover for my dog. I talked to a rep. at Chewy to make sure I got the right size. Sadly it is the Wrong size, ( crate size is Midwest 36 inch ) and I was told to get the small ( which I need a medium ) We are gonna try to make it work. The color is pretty, material is of good quality. It just doesn't fit the crate like it should. Despite this .. We love Chewy and the prices and we will still use Chewy. This is my 2nd purchase of one of these crates. The first one was blue for my little male yorkie and this one will be for my mini female dachshund. She’s only 10 weeks old today and a little small for it yet, but soon. I put the flap on the cover down at night and I don’t hear a peep til I lift it in a.m. to let him out. It’s also the safe place when I have to be gone. Strong and sturdy and the divider helps so much with house training. Love them! I went to chewy to see if there was such a thing as a crate cover, not knowing that there was. I was tired of using a shabby old towel to cover Duncan's crate. To my surprise I found several wonderful choices and a design and color that was perfect for my kitchen. It is made beautifully and fits like a glove. Thank you Chewy! Very nice cover. My girl likes her privacy when she's sleeping.